The IRATA (Industrial Rope Access Trade Association) team are rigorously trained and abide by a strict code of conduct. For areas that are difficult to access via machinery, industrial rope access provides a safe alternative. Industrial rope access is not merely a means of cleaning windows but is a specialist trade in its own right. 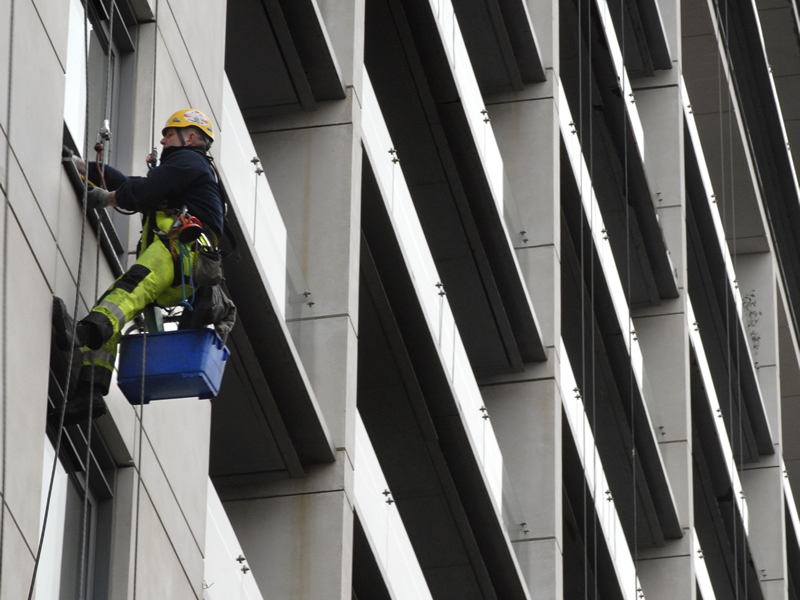 Clifton National Window Cleaning uses a team of specialist sub-contractors that are Safecontractor accredited and IRATA (Industrial Rope Access Training Association) trained. The IRATA team are rigorously trained and abide by a strict code of conduct. Clifton National Window Cleaning’s rope access sub-contractors are independently assessed and trained in rescue procedures. A minimum of two technicians are required for any job. Each has at least two independent anchorage points and a fail-safe descent mechanism.